Stay-cations are all the rage now. Taking a vacation without investing lots of time and money getting to the destination just makes a lot of sense. After all, the less time you spend traveling to your destination, the more time you can actually spend enjoying your destination. 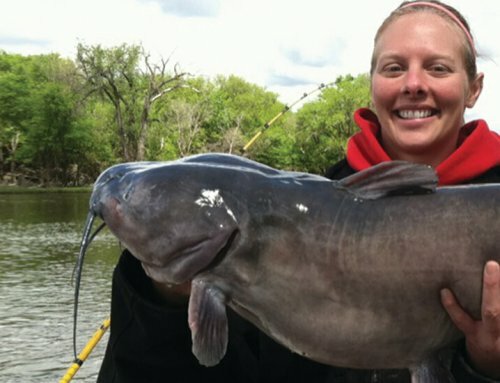 So what if I told you there was an Iowa staycation that would put you right in the midst of some of the most gorgeous scenery in the state with an opportunity to catch some of the most beautiful fish in North America? Sounds almost too good to be true, doesn’t it? I can assure you that it exists and once you make the trip, you’ll be wondering why you didn’t made the trip sooner. The area that I’m talking about is the section of Northeast Iowa that falls within the “driftless” region. The Driftless region is an area in Northeast Iowa, Southeast Minnesota and Western Wisconsin that was untouched by the glaciers as they receded at the end of the last ice age. This is why those scenic limestone bluffs abound in this area; they weren’t pulverized by the receding glacier into the glacial “drift” that covers much of the rest of the state. This makes the geology in that corner of the state unlike anywhere else in the state. In fact, that area is sometimes referred to as Little Switzerland because of the abundant hills and accompanying valleys in the area. This is also the reason there are spring-fed creeks throughout Northeast Iowa that have the temperature and chemistry to support healthy populations of brown trout, rainbow trout and brook trout. Add to that the abundant deer, turkey, grouse and other game that call the Driftless home and you can begin to understand why it such an outdoors-person’s paradise. For this staycation, I’m going to focus on the small town northeast of Decorah called Highlandville. Highlandville is really the gateway to some of the best trout fishing that northeast Iowa has to offer. South Bear Creek runs right through town and meets with North Bear Creek just east of town. Both creeks are dynamite brown trout fisheries, with legitimate opportunities at rainbow trout and brook trout as well. It’s very rare for me to make a trip to North or South Bear Creek and not catch fish. I tend to favor North Bear Creek because it is somewhat more remote than South Bear Creek, especially at the northernmost two or three accesses where North Bear is furthest from town. Both creeks offer fish holding water that you can fish near the access points or hike further in to get away from other anglers. Both creeks also offer a variety of open pasture type of fishing as well wooded stretches with multiple stretches of water ideally suited to dry fly fishing and many runs better suited to nymphing. North and South Bear are just the tip of the iceberg, however. Part of what makes Highlandville the gateway to Iowa’s trout country is the ease of access to several quality spring creeks that hold trout. A short drive to the west will find you at Coldwater Creek. Although much shorter than either of the Bears, Coldwater also has a nice mix of pasture and forested runs. Coldwater Creek is also unique in that there has actually been natural reproduction of rainbow trout, which is unheard of elsewhere in the state. While at Coldwater, it is worth the hike to the cave from which Coldwater emerges. No one has ever actually seen the spring head because Coldwater creek emerges from deep within the cave, but the cave itself is worth the hike. East of Highlandville is Waterloo Creek, which is probably THE best known brown trout fishery in the state, especially if it’s stream-born wild brown trout that trip your trigger. 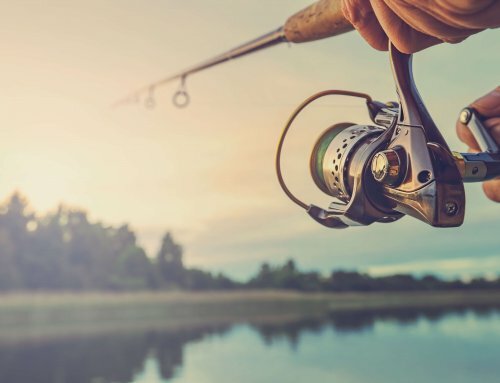 Some of the best fishing along Waterloo is within the small town of Dorchester that sits right along the creek, but don’t overlook the section south of Dorchester with special regulations. 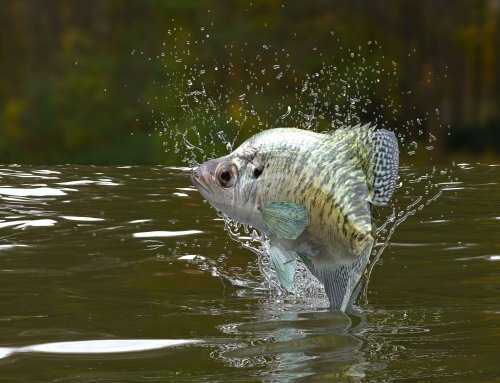 This stretch is catch and release only and only artificial lures are allowed, so your chances of hooking a trophy here are very good. South and east of Highlandville is the other famous brown trout fishery in the state, French Creek. 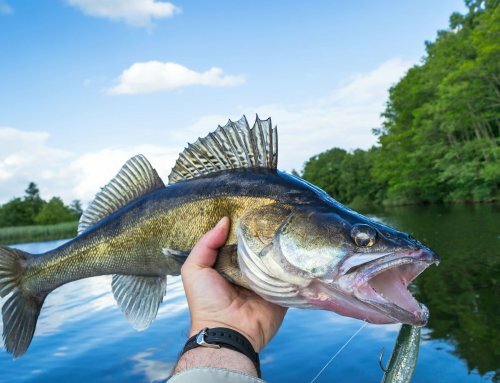 French is such a special fishery that its entire length has been designated as catch-and-release only and artificial lures only. South of Highlandville is one of my favorite creeks in the entire state. South Pine Creek takes a bit of work to access because of the 45 minute hike from the parking area, but it is well worth it. The hike out of South Pine is especially challenging because you are climbing out of the valley that South Pine runs through for most of the walk. South Pine is home to the South Pine strain of brook trout. This strain of brookie is unique to Iowa and has been there since well before the state was settled. South Pine’s remoteness also means that you won’t be fishing with a crowd and make it feel like the wildest trout stream in the state. On your way to Highlandville you will more than likely drive through Decorah, which also has a couple of trout streams located within or very near town. Probably the most worthwhile would be Trout Run on the southeast corner of town. Trout Run originates near the Decorah trout rearing station at Siewers Spring and flows to the northeast for two miles. 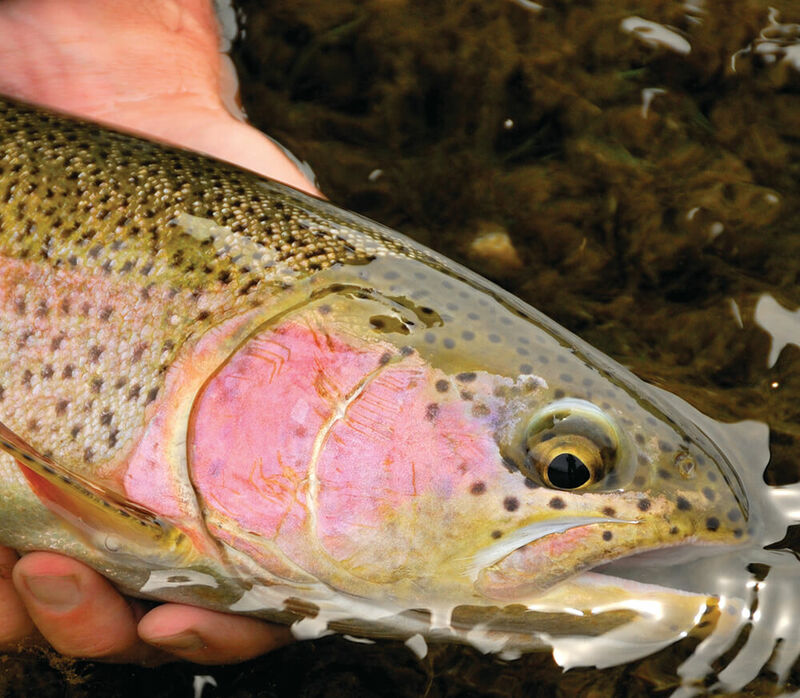 There are lots of options for lodging during your trout staycation. The Highlandville General Store has a modern campground immediately adjacent to the store right along the banks of South Bear. You can also arrange to rent of the many Bear Creek Cabins through the general store. If roughing it is more your speed, the DNR allows primitive camping at several of the accesses. The more popular access points closer to Highlandville can get very busy on the weekends, so have a backup plan if you get there and there are no camping spots open. 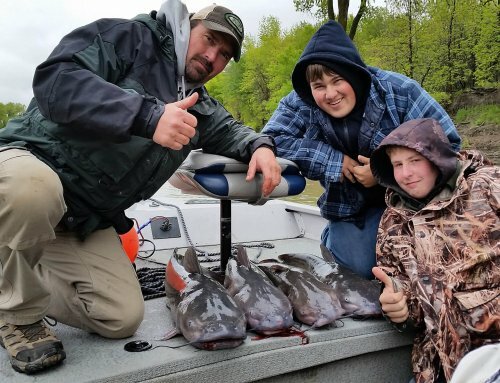 Sportsmen’s Motel and Campground in Dorchester has been the go-to for Waterloo creek anglers for many years, so definitely check them out if headed that way. Lodging options in Decorah are numerous with a multitude of hotels. I think the last time I went through Decorah there was even a new hotel being built, so there should be no shortage of hotel rooms for trout anglers. Pulpit Rock Campground is a very popular place for RV and tent-camping trout anglers, but is also popular with canoeists, kayakers, tuber and general campers, so it can get very busy on summer weekends so finding a spot may be a challenge. Pulpit Rock is located very near to Twin Springs Park and the stream that runs through it as stocked as well, so that may be worth a few casts if you can get a spot at Pulpit Rock. While there are no real restaurants, per se, in Highlandville, the general store is always a great place to grab a hot sandwich or frozen pizza for lunch and an ice cream bar for dessert. Even if you’re not hungry, the general store is always worth the stop. We never fail to stop there when we’re fishing in the area. I could spend the better part of a day just looking at all the proud angler and hunter photos that cover the front wall of the store. It’s also a great place to grab some groceries, pick up some new flies, a fly rod or fishing vest as well as any hunting gear you might need. The store also has a nice selection of trout and northeast Iowa themed gifts that would be great for the people you care about that didn’t make the trip with you. The rest of your after-fishing entertainment and dining options will likely be in Decorah. Being a decent sized town, Decorah has all the major fast-food restaurants like Culvers, Subway, Pizza Hut, Pizza Ranch and McDonalds. Decorah also has a nice variety of mom-and-pop dining too, much of it right along its main route through downtown, Water Street. Our personal favorite is the pizza at Mabe’s, but there’s also BBQ, Mexican and International Cuisine. Whatever you end up having for supper, make sure to save room for some ice cream from The Whippy Dip! Be prepared to wait in line most summer nights, but its well worth the wait! There are a few other non-fishing activities in the area that are worth checking out. Decorah is also very well known for its challenging mountain bike trails. Because of the terrain and geology of the area the Decorah trails are some of the best in the state, so if you’ve got a mountain bike, be sure to bring it along. Decorah is also very popular for its paddling and tubing activities on the Iowa River. It’s no surprise with the scenic beauty that lines the entire river all the way through Decorah and there are several outfitters in the area that can get you set up with a canoe, kayak or float tube. No trip to Decorah would be complete without a trip to see the Ice Cave, which often has ice well into the summer months! The beautiful springhead at nearby Dunning’s Spring is also worth a few photos while you’re in the area. Last but certainly not least, the trout rearing station is definitely worth a visit when in Decorah. The fact that you can walk across the parking lot and fish Trout Run makes this stop a no-brainer. This is also where the world-famous Decorah Eagles are located and there will be quite a crowd if they have eaglets in the nest. After you’ve fished Trout Run, fed the trout at the rearing station, and watch the eagles, kick back and relax on a park bench near the spring head of Siewer’s Spring, which is the origin of Trout Run.